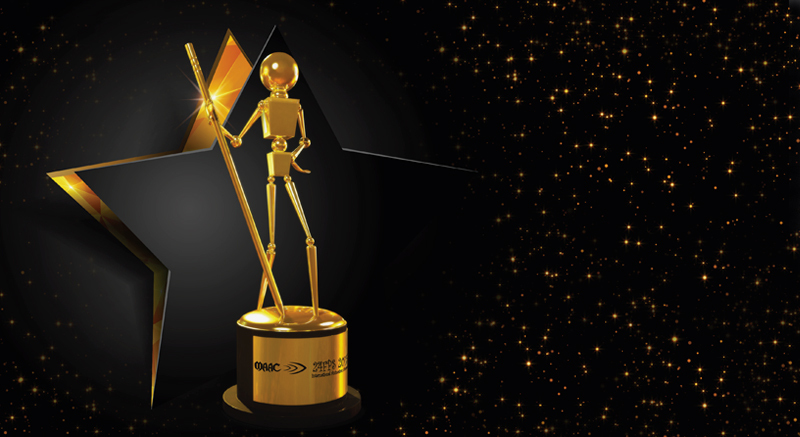 MAAC 24 FPS is a marque property of MAAC and is the most prestigious Awards function for animation & visual effects segment across the Indian sub-continent and beyond. Held every year since its inception in 2003, the MAAC 24 FPS International Awards function is a springboard to showcase talent & has grown from strength to strength. Along with MAAC students, animation industry professionals from across the world, also compete in categories like 3D Animation, Live Action, Visual Effects and several others. A one of its kind, 24FPS awards is attended by animation & VFX Industry leaders, Professional studios and students. The central idea behind this event is to inspire aspirants to experience making a film where they can work like professionals conducting all the necessary research, working on deadlines and detailing their thoughts to create a piece of work that stands apart from the rest. 24FPS has an eclectic range of jury members from all sections of the media and entertainment industry, as we believe to get one's movie evaluated from the crème de la crème is a great boon for the young contestants. The UNIC partnership with 24FPS since past 5 years is also a cherry on the cake; with its recognition it adds more credibility and prominence for MAAC 24 FPS International Awards. MAAC recently hosted the 12th edition of 24 FPS Annual International Animation Awards, in association with United Nations Information Centre (UNIC), on December 14, 2015, at the Sahara Star in Mumbai. Dignitaries from the media & entertainment industry graced the occasion, and were honoured for their contribution under a new award category introduced this year - Movers & Shakers. Amongst those felicitated were Rajiv Chilakha, founder of Green Gold Animation & the maker of the Chhota Bheem franchisee; Arnab Choudhury, director of animated film, Arjun: The Warrior Prince; E. Suresh, founder of Studio Eeksaurus, whose animated film, Fate Line won the prestigious Annecy Award this year; and Srinivas Mohan, three times National Award Winner & VFX supervisor of Baahubali: The Beginning. Also, present were more than 1500 students from all across the country, who were awarded for their creativity & hard work. 24 FPS continues to grow & provide a creative platform to talented individuals. We congratulate all the winners & look forward to the higher participation in future. Big moments of a great journey. 2015 : Sets a benchmark with the highest number of students' participation ever, in the 24FPS International Animation Awards. 2014 : Highest number of industry representation of jury members from diverse specialisations within the media and entertainment industry. 2013 : A grand celebration on completion of 10 years of 24FPS International Animation Awards. 2012 : The beginning of 24FPS festival. 2010 : 24FPS doubles the scope. 2000 participants and 500 studio entries. Avatar and Madagascar steal the spotlight at the international awards. MAAC gives a platform to 1200 studio-ready artists in Indian animation studios. 2008 : 24FPS Awards renamed as '24FPS International Animation Awards'. 20 categories for students and industry professionals. Participation of 1000 entries. 2006 : Tally reaches 55 teams and 400 participants. 2003 : MAAC kickstarts Goal-Create studio-ready artists. The first ever 24FPS Awards started with 8 teams and 40 participants. Best 3D Animated Film Award (bronze) for the film_'Fatso' – (IFFC) International Film Festival of Chandigarh 2015. Best Student Film Award for the film 'Why' – 5th Dadasaheb Phalke Award 2015. Best Student Film Award for the film 'Why' – Navi Mumbai Film Festival 2015. Best 3D Animated Film Award for the film 'Puff' – Indian Cine Festival 2014. Special Jury Award for the film 'Ozzmosis' - FICCI BAF 2012. Special Jury Award – FICCI BAF 2011. Best 3D Film (Manga Style) Award – Japanese International Film Festival 2010. Best VFX Award (Student Category) – CGTantra 2010. Best Short Film Award – Golden Cursor Awards 2009. Nominated for the Best Short Film – SIGGRAPH Asia 2009. Best Short Film Award – FICCI BAF 2008. Best Short Film Award - DIGICON 6+2 Tokyo Awards 2007. Best TV Commercial Award – Asia Apollo Awards Singapore 2006. Best Short Film Award – FICCI BAF 2006. Best Short Film Award – FICCI BAF 2005.